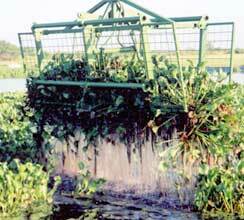 Water Hyacinth Scrubber systems offer custom solutions that can be sized to meet nearly any pollution reduction goal and water flow condition. Individual treatment units are constructed in standard modules from one to 15 acres. For larger flows, standardized units are combined into a single treatment facility. This approach further reduces land area requirements while significantly enhancing operational efficiency.